A Russian resupply mission to the International Space Station (ISS) was automatically aborted at the last minute. Engineers are attempting to find the reason for the scrubbed liftoff of the Soyuz 2.1a rocket from Baikonur Cosmodrome in Kazakhstan. 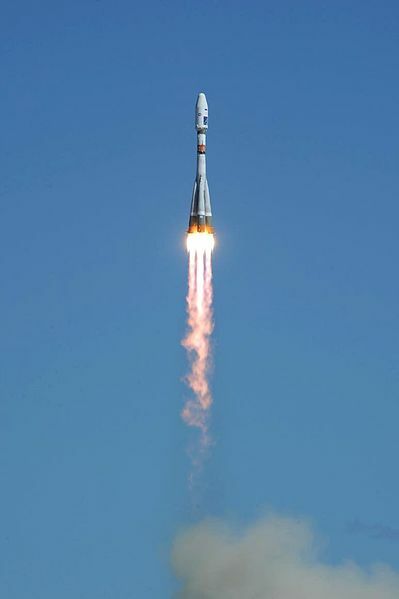 The spacecraft, known as Progress MS-08 in Russia, is carrying 3 tons of food, fuel and other supplies for the station’s six-person Expedition 54 crew and was scheduled to make a superfast 3.5-hour trip to the orbiting lab after liftoff. The next opportunity to launch Progress 69 will be Feb. 13, according to the Russian space agency Roscosmos, but only if engineers can address what caused today’s launch abort, reported Space.com. The aborted launch touches a sensitive issue in Russia after multiple failed launch attempts over the last year, and in light of Elon Musk’s SpaceX’s launch of a heavy-lift rocket ahead of Roscosmos. Russia has lost a large percentage of the commercial launch market after the rise of American private industry alternatives. The head of Roscosmos had nothing good to say about the recent SpaceX launch, “I don’t know if this is a conspiracy or not, but in fact it’s a very good trick,” Roscosmos spokesman Igor Burenkov said about the launch in an interview with the Ekho Moskvy radio station on Thursday, reported The Moscow Times. “The meeting is soon, so they need to adjust their business somehow. Things are bad for Tesla, after all. Everyone knows that,” he said.